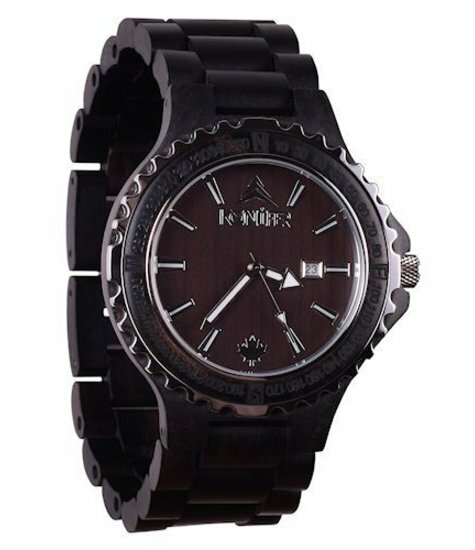 The solid colored Navigator Black wooden watch is a standout timepiece with distinctive athletic style. 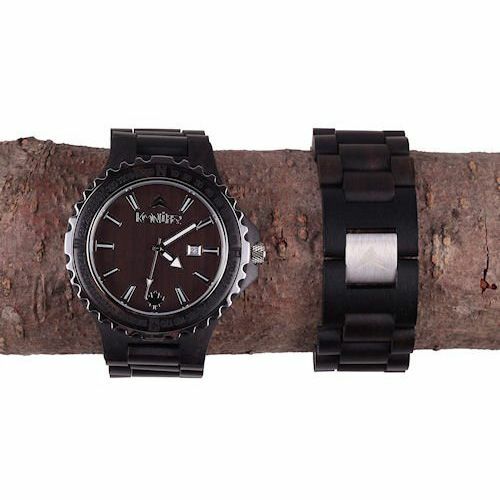 Enjoy a bold, sleek and professional look with all the functionality you need from a watch. 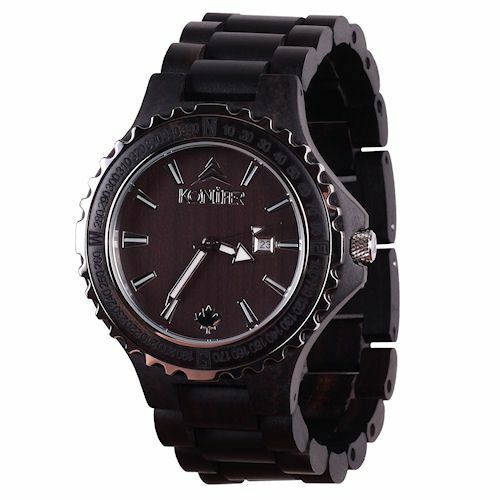 Made from pure black ebony, the eye-catching deep, rich brown wood is 100% handcrafted. 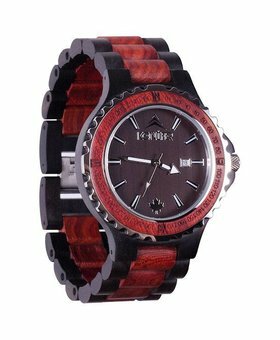 The dial of the watch usefully displays the date as well as the time. 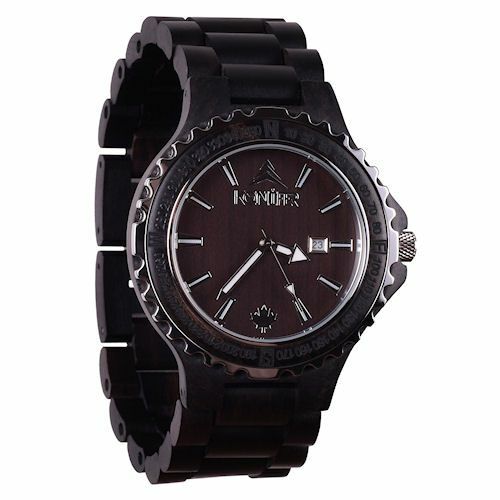 A sporty compass dial surrounds the face of the watch, giving it an athletic style as an accessory you can use. 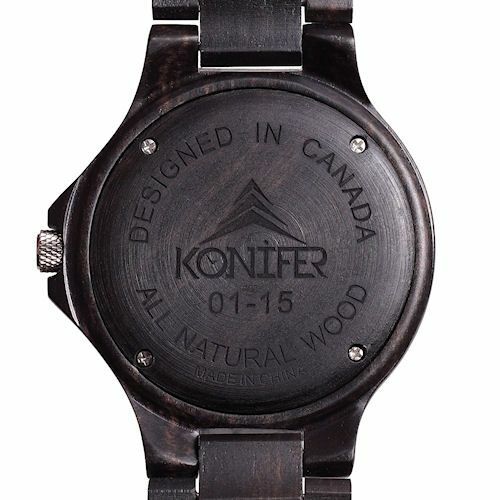 Made from ecologically friendly and renewable wood, the watch is finished in a non-toxic satin oil. 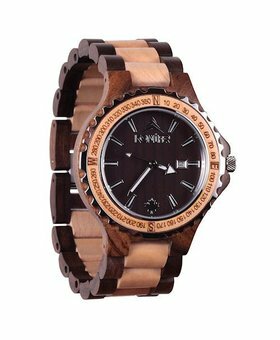 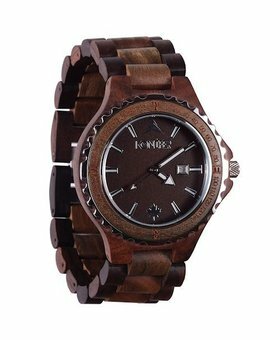 Natural wood has many unique features, and is also hypoallergenic, making this watch an excellent choice for sensitive skin. 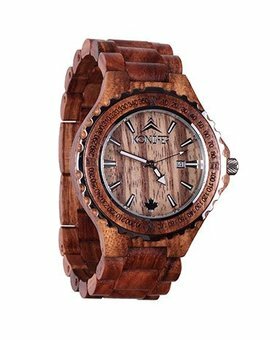 This individualized timepiece accessory can be worn for years, adding athleticism to a professional look or sporty easy to casual outfits.